On Friday, March 23, and Saturday, March 24, 2018, in Durham, North Carolina, the SNCC Legacy Project, Duke’s Center for Documentary Studies, and Duke University Libraries will host closing events for the SNCC Digital Gateway, a project made possible by the generous support of The Andrew W. Mellon Foundation. This two-day symposium will reflect on the creation of the SNCC Digital Gateway, where those who made the history are central to telling the story. Activists, scholars, and archivists together reflect on how SNCC’s organizing can inform struggles for self-determination, justice, and democracy today. We hope you can join us! View the agenda for the SNCC Digital Gateway closing events here. Richard White Lecture Hall, East Campus, Duke University, 9:00 a.m. – 4:30 p.m. In the morning, partners of the SNCC Digital Gateway Project will share the model they evolved to collaborate with activists, library professionals, and scholars. We see this as a departure point for future collaborations, where those who made the history are central to telling the stories at every level of digital humanities production. In the afternoon, scholars, students, public historians, digital humanists, librarians, and archivists will engage in conversations with other practitioners about the nuts and bolts of undertaking respectful, collaborative digital humanities work. Chappell Family Gallery, David M. Rubenstein Rare Book & Manuscript Library, Duke University, 7:00 p.m. In the evening, a reception will be held in honor of a new exhibit featuring selections of SNCC collections found in Duke’s special collections. It includes materials from SNCC veterans Charlie Cobb, Courtland Cox, Judy Richardson, Larry Rubin, Cleveland Sellers, and Maria Varela, all donated to the John Hope Franklin Research Center for African and African American History and Culture during the course of the SNCC Digital Gateway Project. LeRoy T. Walker Physical Education and Recreation Complex, North Carolina Central University, 9:00 a.m. – 5:00 p.m.
On Saturday, activists, community members, teachers, students, nonprofits, and scholars will explore how SNCC’s organizing can inform today’s struggles for self-determination, justice, and democracy. Contemporary and veteran activists will share their approach and strategies regarding electoral politics and power, grassroots organizing, art and culture in the Movement, controlling the public narrative, coalition building, addressing internal conflicts, and more. 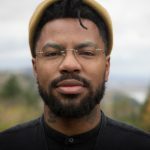 Ash-Lee Henderson, co-executive director of Highlander Research & Education Center and phillip agnew (formerly umi selah), co-founder of the Dream Defenders, will be a part of a day designed to build connections between activists of all ages and fuel the ongoing struggle. The Vault, Palace International, 7:00 p.m.
A closing reception for the SNCC Digital Gateway Project featuring a keynote by Ash-Lee Henderson, co-executive director of Highlander Research & Education Center, and music by Zoocrü. Ash-Lee Woodard Henderson is a 32 year old, Affrilachian (Black Appalachian), working class woman, born and raised in Southeast Tennessee. She is the co-executive director of the Highlander Research & Education Center in New Market, TN. She has served in positions of leadership for many organizations including being the past president of the Black Affairs Association at East Tennessee State University and the Rho Upsilon Chapter of Delta Sigma Theta Sorority, Inc. She holds a B.A. in English with a minor in African and African American History. She has extensive experience with community organizing and is a former staff member of the Chicago SNCC (Student Nonviolent Coordinating Committee) History Project, and a past member of the United Students Against Sweatshops National Coordinating, Political Education and Collective Liberation Committees. 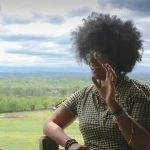 Additionally she is a long-time activist working around issues of mountaintop removal mining, and environmental racism in central and southern Appalachia, and has served on the National Council of the Student Environmental Action Coalition. She is also an active participant in the Movement for Black Lives. Ash-Lee is an active participant on the governance council of the Southern Movement Assembly, organizer with Concerned Citizens for Justice (Chattanooga, TN) and a member and former regional organizer at Project South: Institute for the Elimination of Poverty & Genocide. phillip agnew, a native of Chicago, Ill., found his voice as a community activist while a student at Florida A&M University. His “movement role-model” is…Bob Marley. The Richard White Auditorium is located on Duke University’s East Campus, adjacent to the East Duke Building. Click here for a campus map. The Jerry & Bruce Chappell Family Gallery is located on Duke University’s West Campus in Rubenstein Library. Click here for instructions on how to get there. The LeRoy T. Walker Physical Education and Recreation Complex is located down the hill from the Alfonso Elder Student Union on Nelson Street. Click here for a campus map. A limited number of parking permits are available for Friday’s events on Duke University’s Campus. Please email kcd15(at)duke(dot)edu to request a permit. There is free parking available for Saturday’s events at North Carolina Central in any of the lots off of Nelson Street. For the reception on Saturday evening, there is street parking available on Broad Street near Palace International. The Center for Documentary Studies was founded in 1989 at Duke University as the first institution in the United States dedicated solely to the rich legacy and continuing practice of the documentary tradition. Created through an endowment from the Lyndhurst Foundation, CDS has focused since its early days on cultivating new talent in the documentary field, with an emphasis on the role of individual artists in contributing to society. Our broad educational mission is to teach the documentary arts— photography, film, audio, writing, and other creative media; to produce and promote documentary work; and to present the documentary arts to audiences at home and abroad.